That’s interesting as they’re not flowering here yet. This enormous Cornus looked as if it had been in flower for a while, I wonder if its because we have a had a comparatively mild winter this year thats brought the flowers on. This shrub/small tree is such a great one to profile! 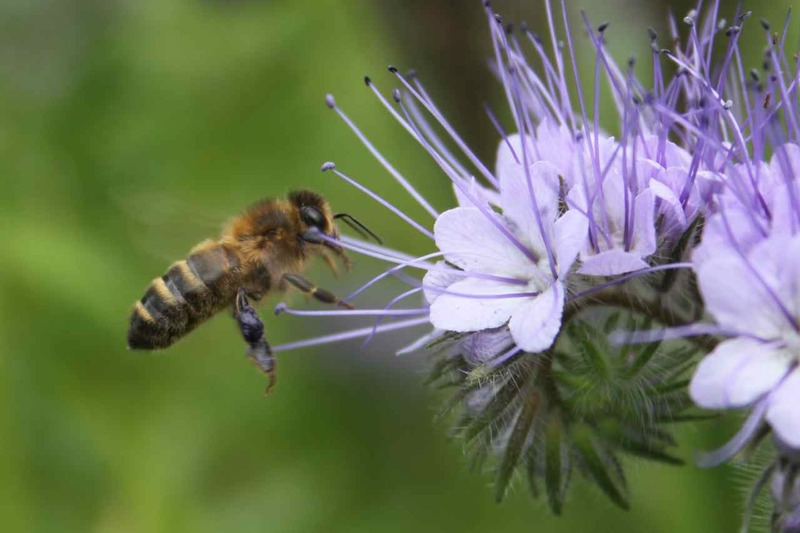 I can only hope more people will be inspired to plant it as it provides early pollen, nectar and later fruit. 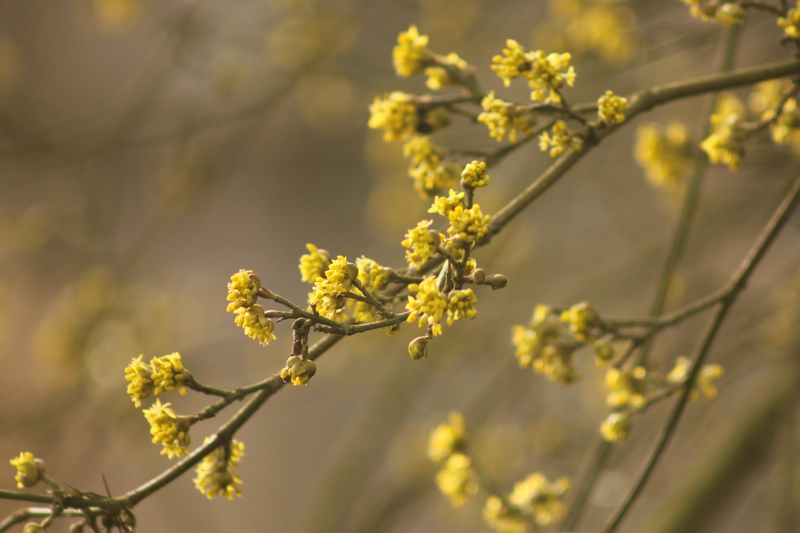 I have a little cornus mas tree; cheery and delightful when in bloom shortly after the forcynthia. Mine is located between the house and some much taller trees. On the norwestern side it receives a lot of afternoon sun. Planted there to protect if from early sunlight as the blossoms can be damaged when the sun warms them too quickly after a frost. As such, the bees don’t always find it’s flowers to pollinate (it blooms before the Serviceberry, Ashes and dandelions, so you would think they’d be all over it every year), BUT when they do it is covered in tasty summer fruit. One just has to get to them before the birds know the fruit has ripened. I enjoy reading your blog and look forward to your next entry. Thank you very much, I have read the fruits are edible and can be made into preserves, something I have not tried. Interesting to hear of the Bees sometimes overlooking this plant, its not a native here, so possibly from the warmer area it originates from, pollinators are more interactive. Where is your garden? A little colder than here, most of the UK, including where we are is in Zone 8, with some spots in Scotland at zone 7. Lovely image Julie for early spring. Thanks Susie, it was an overcast day, but one tiny glimmer of weak sun and the yellow blossoms lit up. How lovely, mine isn’t out yet. It is still very young though. I used to have an enormous one which looked just amazing against a blue sky. You have a wonderful collection of winter flowering plants. This one was enormous too and owned by the Benington Lordship garden, not me sadly. In my fantasy Arboretum “Cornus mas” would have a place in it. One of the gardens I help in has an ancient one, which is a wonderful sight when in flower. What a stunning photo, with the out of focus background! What a beautiful plant. The colors remind me of Forsythia. The autumn colour is lovely too and although I haven’t tried them, I hear the fruits are edible and can be made into a good preserve too. Gorgeous and interesting, and does an amazing job of meeting the Wordless Wednesday challenge. Thanks Charlie, hope you are having a good week. Thanks Clare, yellow is such a cheery colour in spring, I wish I had space to grow one here at home. I don’t think I have ever seen one before. Are they very large? The one at Benington Lordship looked a fully grown veteran, they can grow to 4 metres tall by 4 metres wide in the best conditions. Too big to add into my my own garden unfortunately. Quite an impressive size then!